The NL100 Nitrogen Laser is ideal for fluorescence measurements, MALDI-TOF mass spectrometers, and other pulsed UV radiation experiments. It provides 3.5 ns pulses at 337 nm (UV), with repetition rates up to 20 Hz. The pulse energy is 170 µJ, which results in a peak power of 45 kW and an average power of 3 mW. 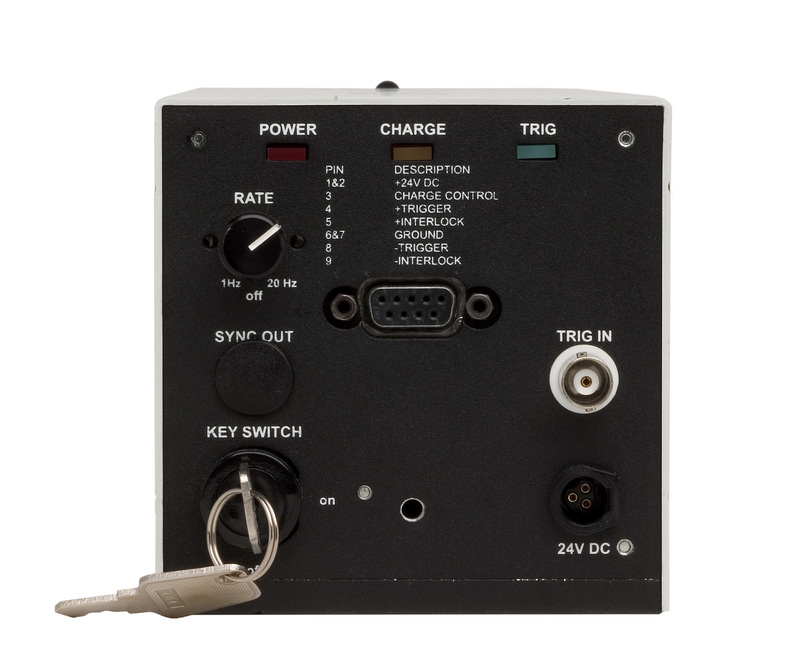 The NL100 can be triggered internally or externally at rates up to 20 Hz. The user also has the option of running the laser system in command charge mode. The NL100 uses a replaceable, sealed laser cartridge which includes the high voltage storage capacitors, switching element, and laser tube. The cartridge is warranted to maintain at least 70 % of its energy for twenty million pulses or one year, whichever occurs first. No mirror alignment is ever necessary in the NL100, as the laser optics are mounted on the plasma tube and aligned at the factory. 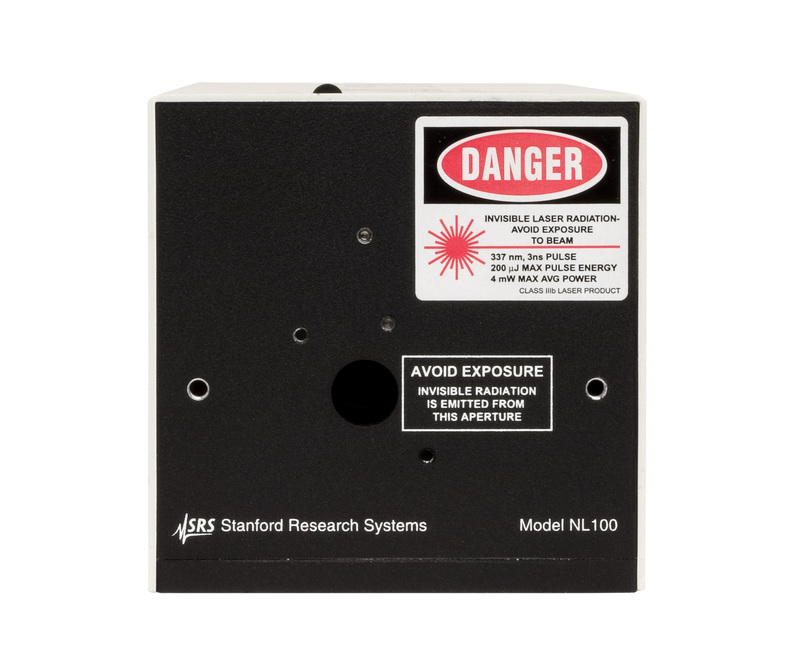 The NL100 also includes all safety features necessary to comply with the U.S. laser safety standards contained in 21 CFR 1040.10. The NL100 is fully compatible with the Spectra-Physics model VSL-337i OEM Nitrogen Laser (part #337999-04). The mechanical design of the NL100 includes all of the mounting and alignment features of the VSL-337i, making the NL100 a straightforward retrofit in many pre-existing systems. Warranty Cartridge is warranted to maintain at least 70 % of its energy for twenty million pulses or one year, whichever occurs first.